Your wedding day should be a dream, come to life. At The Backstage Event Center, we take pride in making your dreams a reality from beginning to end. Our facility combines traditional, rustic décor with modern elegance, creating a distinctive and charming space for your guests. The unique floor plan can be customized to accommodate parties of up to 300 guests, more intimate parties for your closest friends and family, and every event in between. We offer an impressive selection of food and beverage options, and our event planning team will work closely with you to ensure that every detail is as you envisioned. Our exceptional chefs, servers, and bartenders provide brilliant hospitality and warm service to create an unforgettable experience for you and your guests. Contact our Event Professionals today and let us be a part of your beautiful day! My only suggestion for Brides that rent the Horse and Barrel Bourbon bar as part of their package is to place a sign at the main bar upstairs that let the guests know there is another bar downstairs. So so happy that we went with The Backstage Event Center! There was a gentleman who made sure that my husband and I had whatever we wanted or needed, even provided me with a glass of water after I left the dance floor for a break. The level of service was excellent and much appreciated. Special thanks goes to Kelly, the event coordinator! Thank you for all your help in helping us plan a wedding in 2 months! Our vendors kept raving about the space and accommodations you provided. This space is beautiful, reasonably priced and was the perfect place for our city chic theme. I highly recommend this venue for ceremonies and receptions! Kelly Schneider is a phenomenal event coordinator – there is no one better than her! She is so friendly and patient. She is attentive to all your needs and never skips a beat. Kelly was our wedding coordinator for our July wedding at the event center. We began working with Kelly over a year in advance of our wedding. She always made time to meet with us and responded to all phone calls, text and emails within less than 24 hours. Most of the time, I received a response in less than one hour! I love that the Backstage offers a coordinator for your event because I could not have planned this wedding without the help and advice of Kelly. In addition to Kelly, there is also a “day-of” coordinator, Erin. Erin was also super friendly and extremely professional. Our wedding was simply amazing – I don’t think we had anything go wrong under Kelly and Erin’s supervision. The venue is gorgeous and so unique! It has two outdoor patios and two large rooms available for rent. 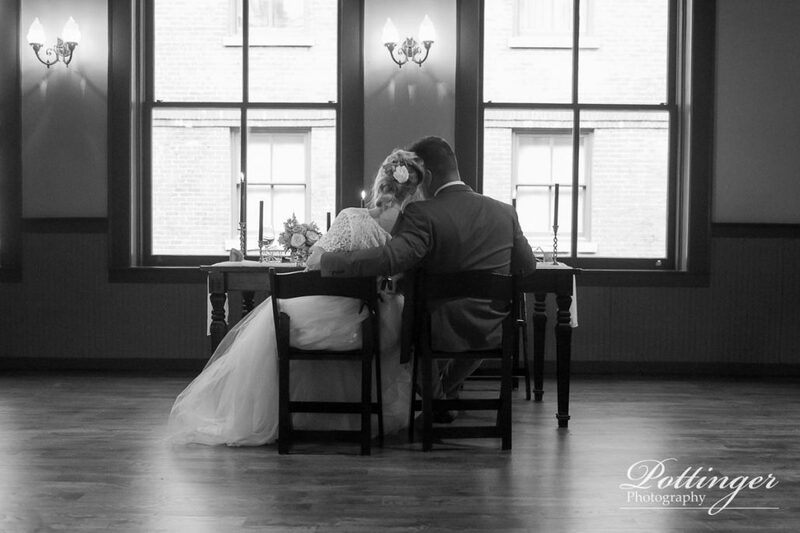 The venue is right in the heart of downtown and offers so much beauty, it doesn’t even need decorations! I love that they allow you to bring in any vendor you want instead of being confined to a preferred vendors list. The minimum on the venue was well below that of most making it extremely affordable. They also provide all pricing options upfront so you know exactly what you are getting into – throughout the planning process, Kelly would provide me with updated quotes based on our options. We were able to do tastings and visit the venue as often as we’d like – as long as there wasn’t an event going on, Kelly or another staff member would allow us to go upstairs and check things out. I was overwhelmed by the service and reliability this venue and its amazing staff offer. They were flexible on all of our needs and always found a solution to any dilemma we encountered. One other thing that I thought was incredibly helpful was that the venue will allow you to drop off decorations in advance and the team will decorate your space and takes everything down for you! You don’t even have to take the decorations home with you the night of the wedding, you can pick them up the next day – such a relief that most other vendors do not offer. 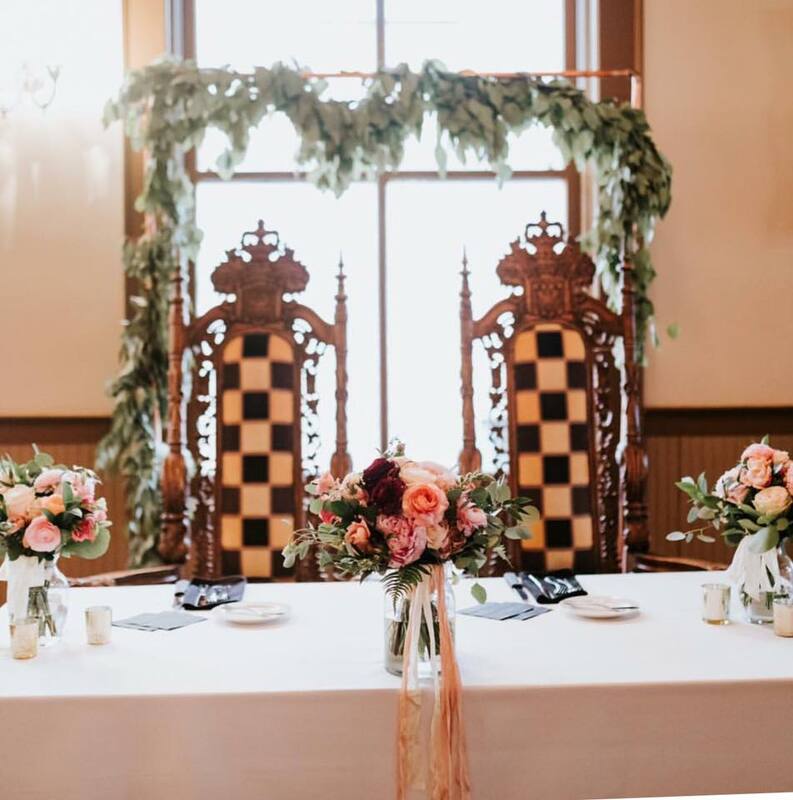 I could go on and on for days about how pleased I was with our experience with the Backstage Event Center, but it is definitely a place that I recommend to everyone searching for a wedding venue in Cincinnati! This place is the epitome of great hospitality and exceptional customer service! Thank you to Kelly, Erin and the whole team for your unparalleled service! This is a group of very professional people who knew how to make this special evening a wonderful experience! Kudos to the kitchen as everyone complimented their meals plus we enjoyed the most delicious appetizers & desserts. The space looked absolutely beautiful as the sun set over the city and our guests were able to enjoy the unique patio in a downtown setting. Our guests were having such a great time that we were able to extend our evening an additional hour as they just didn’t want to leave! 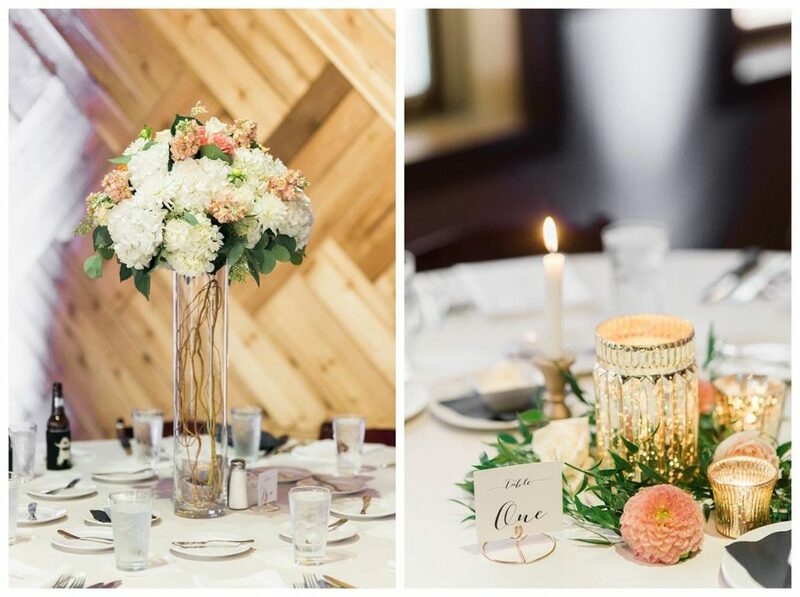 If you decide to hold your special event at the Backstage Event Center, you will actually be able to enjoy your evening as Kelly and Erin and the entire staff will take care of everything else for you ~ in a word. . . PRICELESS! She made us feel comfortable and the day could not have turned out better. Randy and the rest of the wait staff were extremely professional and exhibited excellent service! We are so happy with choosing this as our venue for both the ceremony and reception.